These babies in their Fourth of July best are making our hearts swell with patriotic pride. 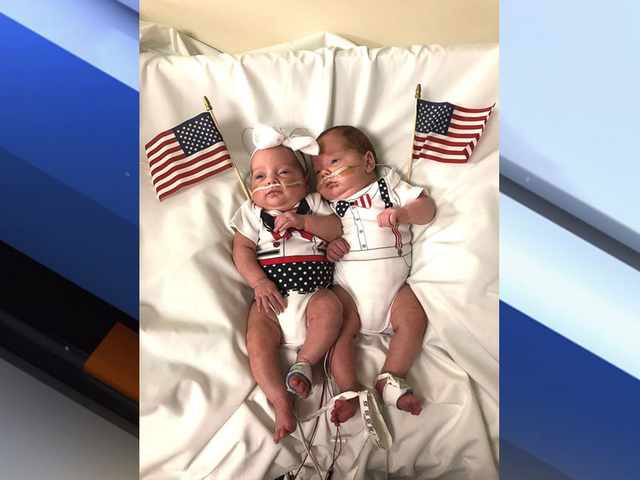 More than 30 preemies staying in Advocate Children’s Hospital’s Neonatal Intensive Care Unit in Downers Grove, Illinois, donned red, white and blue outfits as part of an early Independence Day celebration. The little ones were all photographed to give their families happy memories, despite not being home yet. Nurses and child life specialists helped decorate their surroundings with American flags to celebrate their first Fourth of July with their parents.